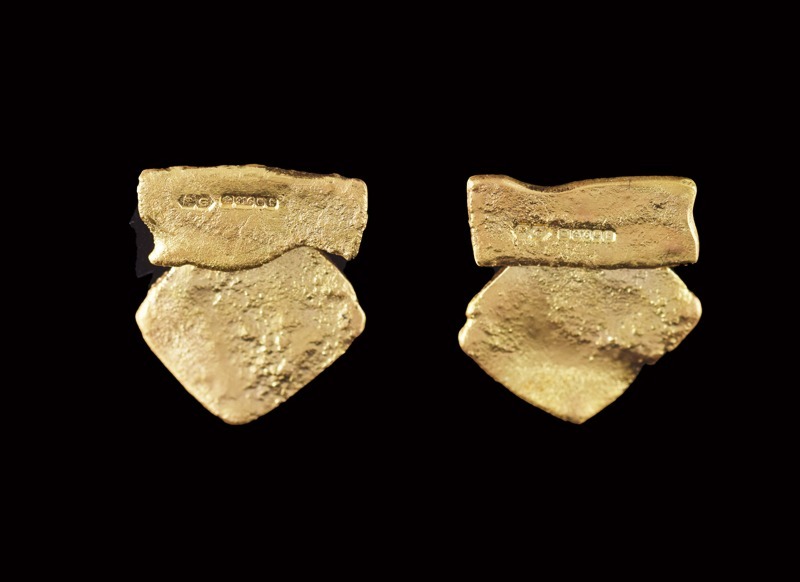 Two gold flakes, one square and one long, have been joined to make a most interesting little pair of earrings. Melted but not really shaped or worked in any way, these flake earrings are unlike any other flake earrings Polly has made. For fun and added interest, Polly’s hallmark has been placed on the bar on the front of the earrings. 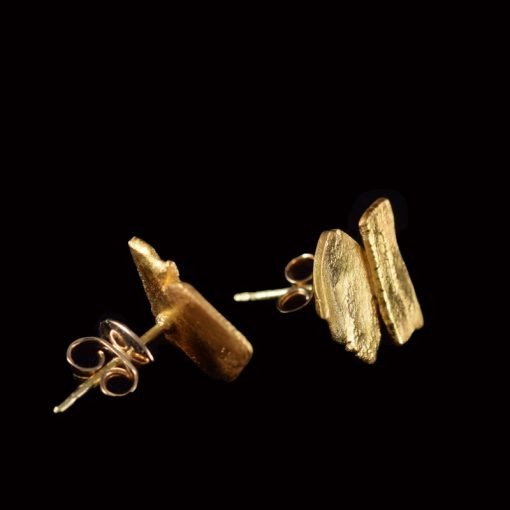 Hallmarks are usually hidden, but in this instance it just adds a new dimension to the earrings by being visible. 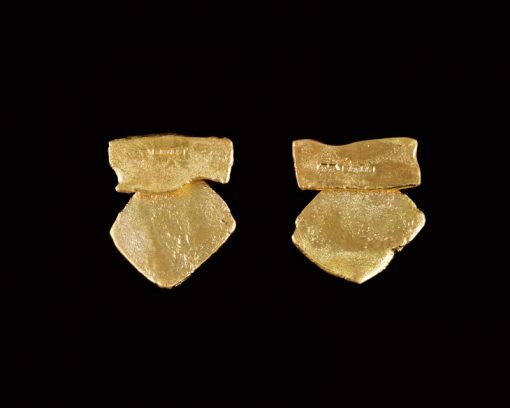 The earrings are roughly 1.5cm across.